A student plagued by the burdens that accompany mental health issues. Explore the first part in our series about everything you need to know about mental health. Those who struggle with mental illness have heard these ignorant and, frankly, patronizing statements too many times to count. While those who deliver these pieces of advice usually mean well and think they are helping, in most cases, their words never better the situation. Typically, the reason why these are the usual statements peers give to others when dealing with a mental health crisis is because they do not know how to correctly assuage the problem at the time. Why is that? Mental illness is seen as taboo and is not discussed nearly as much as it should be. 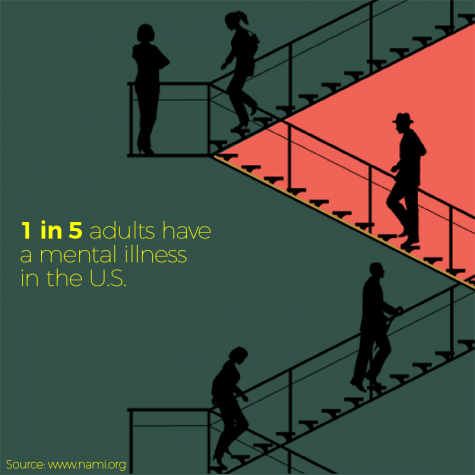 Mental illness is more common than one might realize. 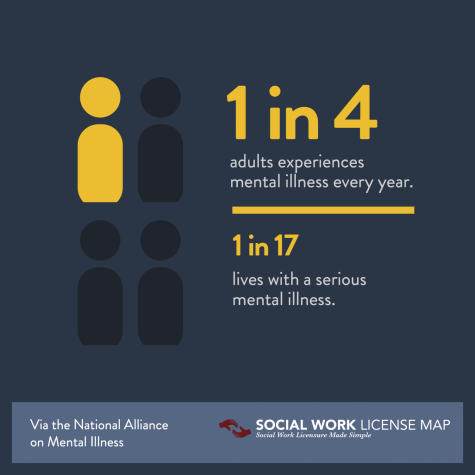 One in four people will experience some type of mental health problem in their lifetime, and one in five teenagers between ages 13 and 18 have or will have a serious mental illness. Most people who experience these issues make a full recovery or find ways to live with and manage their illness. 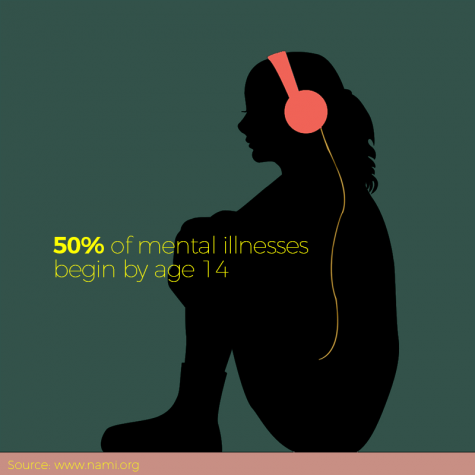 But even though so many people are affected, there is still a major social stigma attached to mental illness. Why is that? Often times, the media perpetuates and spreads the thought those struggling with mental illness are always dangerous, irrational, violent, and unreliable. This is called stigma. Stigma is defined as a mark of disgrace associated with a particular circumstance, quality, or person. If a crime is committed by someone who is affected by mental illness, the media often reports on the incident and puts an emphasis on their mental state as a way to put the blame on something. 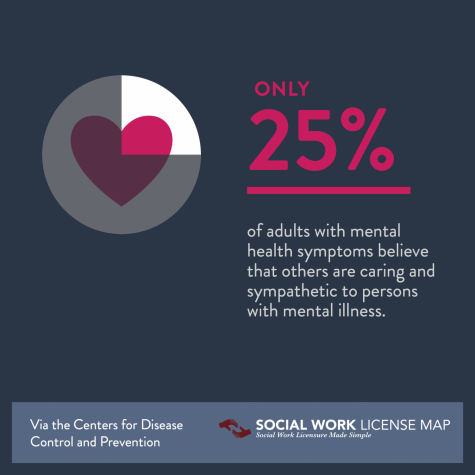 Even though mental illness can contribute to their motive, it is not always the sole reason for someone to commit a crime. When people see “mental illness”, they seem to automatically connect it with “crime”. Because of the stigma surrounding mental health issues, people feel awkward and find great difficulty in speaking openly about it. It may be uncomfortable to talk about, but at some point, you absolutely must educate yourself on it because it’s something that will never go away. People with mental illness can harbor dangerous feelings within themselves, and it is a crime to sweep it under the rug just because it is not always easy to address. For as hard as it is to cope with these conditions, it’s downright disrespectful to downplay the severity of them. Mental illness is not a good thing. This should be blatantly obvious to all, but Western culture has a tendency to romanticize and glorify mental illness. Pop culture can potentially misconstrue the message trying to be said by somewhat mental illness as a ‘beautiful pain’ like the popular Netflix show, 13 Reasons Why. To put it bluntly, it’s not cute, quirky, relatable, or charming to live with a mental illness. The hard truth is that something so detrimental to a person’s well-being should not be glorified at all. It is good to create media about mental health issues in order to get people talking and raise awareness about them, but it should be done so in a way that informs the audience, rather than romanticizing these conditions. While no one person is solely to blame for the normalization of stigma, we can all do our part in eliminating this destructive part of our society. Stay tuned for part 2 of our series on mental illness, which will describe how one combats stigma.